Since Tennessee’s men’s basketball team took down then-No. 1 Gonzaga back on December 9th, they’ve played a bunch of teams who are clearly inferior to them. That stops this upcoming Saturday. The No. 1 Vols (23-1, 11-0 SEC) haven’t played a single ranked team since their match-up with Gonzaga back in December. Rankings aren’t everything, but that’s over a two-month stretch of Tennessee not playing a ranked team. That streak will end on Saturday when the Vols travel up to Lexington, Kentucky to take on the No. 5 Wildcats. Kentucky did just lose at home on a controversial buzzer-beater to LSU on Tuesday night, but the Wildcats are still a top-10 team and will be the best squad the Vols have faced in months. Tennessee also has a road game against the aforementioned LSU Tigers upcoming, a road match-up with Ole Miss, a home game against Kentucky, and a road game against Auburn to close out the 2018-19 regular season. 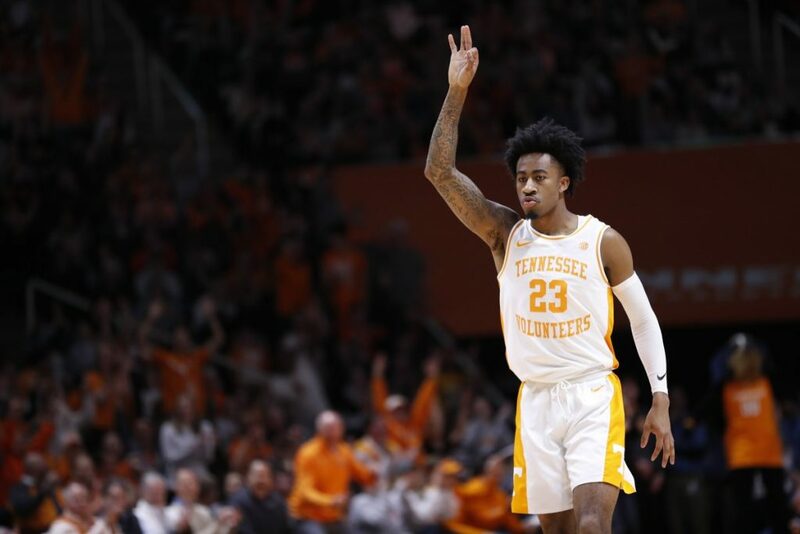 Over the last two months, the highest-rated team the Vols have played according to the NCAA’s NET rating — which replaces the RPI for the NCAA Selection Committee this year — has been Florida. The Gators come in at No. 41 in the NET rankings. Alabama (43rd) is the only other team that ranks inside the top 50 of the NET rankings that the Vols have played over the last two months of basketball. Every one of the Vols’ remaining regular season games — with the exception of their match-up with Vanderbilt — is against a team inside the top 50 of the NET rankings. The Vols have two games against Kentucky, the first of which comes this weekend on the road. The Wildcats rank sixth in the NET rankings. LSU is currently 14th, Auburn is 19th, Mississippi State is 29th, and Ole Miss is 36th. Tennessee has played difficult teams this season already, yes. Gonzaga ranks second in the NET rankings, and both Louisville (16th) and Kansas (18th) are also inside the top-20 of the NET rankings. The Jayhawks were still at full strength when the Vols played and lost to them in overtime in New York earlier this season. Injuries and suspensions have marred the Jayhawks’ season since then, though. The Vols have faced tough teams throughout this season, but it’s been a while since Tennessee has gone against stout competition like they’re about to face. And they haven’t gone up against so many quality teams in such a short stretch this season. In the Vols’ first 24 games this season, they’ve played six games against teams ranked inside the top 50 of the NET rankings. They’re going to double that number over the next three weeks. Over Tennessee’s next seven games, six of them will feature teams ranked inside the top 50 of the NET ratings, and four of those contests will come against teams placed inside the top 20 of the those rankings. So far this season, Tennessee has mostly dominated the teams they’ve played. Of their 23 wins this season, 20 have come by double digits, including eight wins by at least 20 points. The Vols have even been impressive against the better teams on their schedule. Tennessee is 5-1 against teams ranked inside the top 50 of the NET, and three of those victories have come by 10 or more points. But those six contests have been spread out over three months of play. The Vols’ next six games against top-50 teams will all be in a span of three weeks. Tennessee is No. 1 in the country for a reason. They’ve handled adversity when it’s come their way this season, and they’ve looked like a well-oiled machine for most of the year. But this team hasn’t faced a stretch like this so far this season, and they haven’t played teams of this caliber in over two months. Rick Barnes will do his best to make sure his team is ready for these next three weeks. And they better be if they want to win an outright SEC regular season title or earn a No. 1 seed in the NCAA Tournament next month.